For your zombie-killing role-play. Zombie SWAT captures the fun of thematically stylized fantasy weapons, but executed in soft, safe for work and play materials, with sounds specifically tailored to each piece! 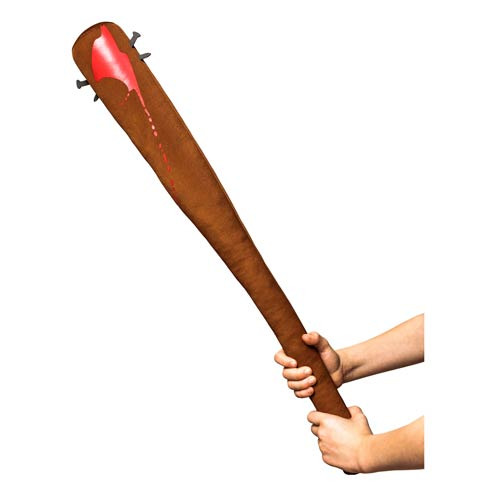 This Zombie SWAT Bat with Nail Plush Roleplay Weapon with Sound makes a pleasing "thwack" sound while fending off the undead. This great plush roleplay weapon is a must-have for all post-apocalyptic survivors and zombie fanatics! Ages 13 and up.